There’s a place in the Midwest approachable only from the sky. It’s south of Canada and a bit north of Mexico. Draw a line along the eastern edge of the Rockies, and it’s to the right of that and west of Youngstown, Ohio, maybe Columbus. It’s strictly a middle-of-America place, although there have been reports of it north of International Falls, and it was once spotted in California’s Central Valley and along the Snake River in Idaho, although I suspect those were false sightings. No one’s reported it in New Jersey since 1946. This place is called Ailerona. It has no ICAO identifier, doesn’t appear on any sectional or airport guide. It can’t be loaded into a GPS database; if you tried, you’d blow the RAIM out of the box. Despite the lack of navaids, Ailerona is supposedly easy to find if you know how to look. I haven’t been there myself, but I once met a pilot in Wagner, South Dakota who knew a guy in Alliance, Nebraska, who’d flown over Ailerona one winter day in a Maule. He said it appeared through a crystalline veil of snow and looked like sunrise at noon. He reported an expanse of green across low hills above which a Super Cub flew in loose formation with a Taperwing Waco until the Cub descended to an upsloping pasture where the cows turned their heads to marvel at the appropriateness of a Cub in their salad bar. Ailerona appeared briefly in Greek mythology when Icarus tried to fly across the Mediterranean in his waxwing homebuilt in search of this perfect place. He looked too hard however, and his wings melted. Ever since then the FAA has denied Ailerona’s existence fearing that if pilots saw its wooden hangars full of Stearmans, Fairchilds, and Lockheed Vegas and Lodestars, if they saw the fuel truck hauling both 100 and 80 octane at 35 and 30 cents respectively, if pilots saw all that, they’d question the way things are. I thought I saw Ailerona up in Michigan while standing beneath a Husky’s wing during a thunderstorm that looked like creation of itself. Another time, it flashed briefly through my old Bonanza while scud running between a low overcast and the flat pine forests of northern Minnesota. I skimmed the trees at 150 knots through a 300-foot wedge of clear air that led nowhere and I hoped it would never end. Each time that I thought I saw Ailerona however, it disappeared. I tried to grasp it, to log the moment for spiritual currency and, in the process, the vision said I wasn’t ready and faded away. Ailerona hold the raw stuff of flight from biplanes to the Concorde. It’s where aviation began and, today, is the one corner of flight where no one can clip your wings. It’s out there, and chances are you’ve already seen it – perhaps in that perfect instrument approach or the beautifully executed crosswind landing. It may even exist outside of the Midwest, although what better place to begin the search? “Ailerona” c first appeared in Minnesota Flyer (Richard Coffey, publisher) and subsequently in Pacific Flyer (Wayman Dunlap, publisher). It’s a short story and the title of an audio book by Paul Berge and available through Ahquabi House Publishing, LLC. All rights reserved by the author. Paul has a number of great stories. He is currently re-publishing his novel, Bootleg Skies and also created a sequel. Both of which I recommend! See these and more at www.paulberge.com. We all know that pilots have stories to tell! This is your chance to share it with other pilots and folks who love aviation. Please email your story to qchilds@insmgmtgrp.com. The story will be credited using only your first name and your vague geographical location (state, province, country, continent, etc.) so you can remain semi-anonymous! It was a bright and sunshiny day, a Thursday as I recall. I was traveling on four wheels, up Interstate 35, from Des Moines to Minneapolis for business. Just as I was approaching the Mason City/Clear Lake exit, my stomach began to growl, as it had already been a long morning and both my mind and body were requiring sustenance! Since I travel regularly, I get my fill of the drive-up window fare, from the usual fast food establishments, and this time, I thought it would be nice to find a local restaurant with some local ambiance. Then I remembered the airport had a restaurant that came highly recommended by many of my pilot clients. Sure enough, “Them People At The Airport Cafe,” was open and ready for the lunch crowd. As I entered the place, it was bright and cheery, and decorated with Clones and Hawks paraphernalia. I was greeted with an enthusiastic “hello” telling me to have a seat anywhere I’d like and asking what I’d like to drink. Almost before my rear end hit the chair, my drink was there with a menu and I was being told the special of the day was goulash, with vegetables, a breadstick, and my choice of a chocolate or strawberry cupcake for dessert. There were only a couple of other diners in the place at this time and my perky waitress had my piping hot lunch special quickly to my table, provided a refill of my iced tea, asked if there was anything else I needed? When I said I was good, she left me to my own devices. 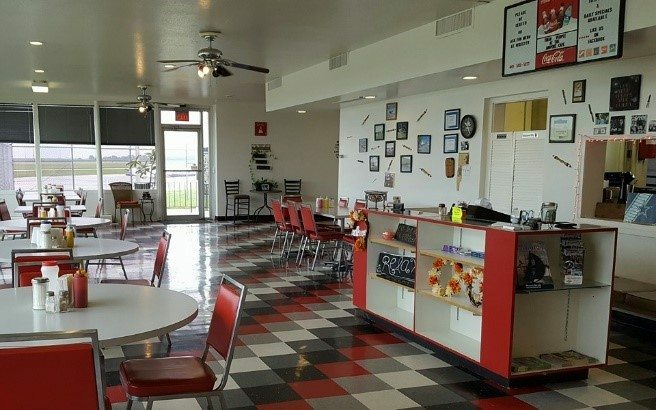 “Them People At The Airport Cafe” was a great stop on my way North! I can highly recommend the food, the decor, and the service. The Mason City Municipal Airport (KMCW) is lucky to have a local business like this at their airport and I hope it is well supported by the local aviation community and the cities of Mason City and Clear Lake! A fantastic Fly-In For Lunch Spot!! Do you have a favorite weekend jaunt to get a $100 hamburger? If so, we would like to share it with our newsletter readers. Please email your story to qchilds@insmgmtgrp.com. The story will be credited using only your first name and your vague geographical location (state, province, country, continent, etc.) so you can remain semi-anonymous! OLDER PILOTS…..HOW IS YOUR INSURANCE AFFECTED? As we all know, the pilot shortage, either professional pilot or otherwise, is now upon us. This is why we have seen the airlines raise the mandatory retirement age from 60 to 65. The population is generally living longer and is healthier than ever before, which usually equates to better physical and mental capabilities. So why are aviation insurers becoming concerned about the abilities of the pilot pool? And why are aviation insurance underwriters struggling on what standards should be established for these pilots that have the most experience and untold amounts of aviation knowledge? After all, professional pilots must meet and maintain the FAA required medical standards to retain their first or second class medical certificate. Not to mention the necessary competency and proficiency requirements for all pilots, regarding the aircraft they operate. 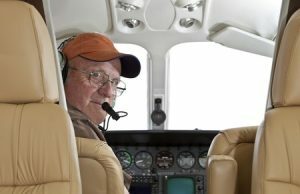 Further compounding the issue, from a risk management or loss control standpoint, the AOPA Air Safety Institute published a report, “Aging and the General Aviation Pilot”. This study examined the aging of pilots over a twenty-year period. Amazingly, the report concluded “the situation is extraordinarily complicated……and there’s ultimately no getting around the fact that we are all mortal beings. All of us eventually go through a period of decline.” They further explain there are some pilots who at the age of 60 have a “true age” of closer to 90 and vice-versa. All of us are different and our chronological age is not a very good gauge of how we, individually, function in the cockpit. Finally, the report concedes that how we age and function as we get older boils down to experience, proficiency, physical fitness, genetics, and many of other issues to determine a given pilot’s capability to fly safely. Well, just what are underwriters looking for? We must remember that insurance companies, like all businesses, are profit oriented organizations. They examine a set group of analytics, compare it to an applicant’s experience, and come up with a premium to charge said applicant. The one piece of data that seems to be consistent is the pilot that has attained the age of 70 results in a second look. Underwriters do seem to complete a bit more “vetting” of the post age 70 pilot than those of younger status. The aviation underwriters remain scattered in their approach toward proper rating and requirements for the older pilot. Some of the requirements proposed by carriers as it relates to these “experienced” pilots are to complete semiannual medical exams or mandatory two-pilot operations or second in command status only and a whole host of other requests. Bottom line is, statistically, there seems to be no increase in accidents directly attributable to age. Even after the airlines raised their retirement age to 65 there was no appreciable increase in accidents or incidents, and these situations may have even decreased. The AOPA ASI report put it very well when they wrote “Aircraft piloted by men and women over the age of 70 are not falling out of the sky with any great regularity.” So, as with all pilots, chief pilots, and aviation department managers, it is advisable to stay on top of yourself or your entire flight department, and make sure that you and all personnel are physically and mentally capable of doing their job, all day, every day. We are all looking to provide ourselves and our passengers with a safe and uneventful flight experience. Quentin began his insurance career in 1982. As President of IMG, he takes pride in knowing the agency staff is committed to the customers and will provide professional service for your individual and family asset protection needs, as well as, insurance and risk management options for your business or commercial operations. 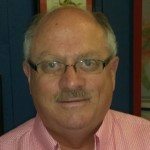 His many years of insurance experience provides our customers a great source of knowledge and assistance. 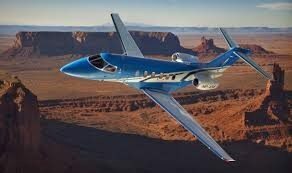 THE PILATUS PC-24…..THE SUPER VERSATILE JET! According to Flying Magazine, the Pilatus PC-24, or the “Super Versatile Jet,” is on schedule and looks to be meeting or exceeding all expectations. Projected deliveries are scheduled to start in the fourth quarter after certification, and the Pilatus PC-24 should receive certification by the FAA and EASA before the end of 2017. The PC-24 plans on reaching speeds of 425 knots, have a range of 2,000 nautical miles, a maximum altitude of 45,000 feet, a maximum payload of 2,500 pounds, and the jet will seat up to 10 passengers. I’m guessing its competitors, the Cessna Citation CJ4 and the Embraer Phenom 300, better step up their game. We would love to feature your airplane. Just send an email to qchilds@insmgmtgrp.com. Be sure to include a picture. The story will be credited using only your first name and your vague geographical location (state, province, country, continent, etc.) so you can remain semi-anonymous! Idlewild Airport was renamed John F. Kennedy International Airport on December 24, 1963, just one month after President Kennedy was assassinated.